Relax and ease away the day’s stress with this classic massage. With a focus on relaxation this massage will reduce tension, increase circulation and induce relaxation. Hot volcanic stones are used on key points of the spine and muscles with special massage movements that mimic the river or sea water. The stones help penetrate deeper into sore or inflamed muscles providing relief. Focusing on the upper body using specialized techniques this massage helps relieve upper body stress, headaches or migraine pain. Relax and unwind with your other half before the arrival of your little bundle of joy. This massage utilizes a combination of techniques proven to be safe and effective for expectant mothers. This therapeutic massage utilizes a combination of trigger point therapy, Sports massage and other unique modalities relieving inflammation, stress and strain. This body balancing massage is not only relaxing, it is also purifying. while promoting deep relaxation this massage aids in the reduction of muscle tension and fatigue. Himalayan salt stones contain a plethora of minerals and emit negative ions helping to detoxify the body. Natural oils are used to enhance psychological and physical well-being. Great for mood balancing. Ancient massage techniques are used in specific zones on the feet in order to release tension, improve circulation and promote health in related areas of the body. This therapeutic treatment will leave you feeling lighter. It begins with an aromatic foot soak then a sugar foot scrub to remove dead skin, softening hard skin and leaving your skin feeling refreshed. Your feet will then be covered in a luxury masque, wrapped in hot towels and massaged with a velvety cream. you will also receive cuticle work to exfoliate and remove any dead skin around your nail plate. complete with your chosen polish. Treat your feet, after all you have walked on your feet your entire life! This pedicure is perfect for tired achy feet. After your feet soak in an aromatic foot bath we will apply a glycolic peel that is designed to rapidly and safely resurface the skin, Dissolving dead skin, smoothing and encouraging cellular renewal. Breathtaking results! A massage will follow with a cooling foot gel to leave a pep in your step. this pedicure also includes cuticle and nail care followed by your choice of polish. A great pick me up for maintenance between pedicures. Starting with an aromatic foot bath with a sugar scrub. You will receive cuticle work to exfoliate and remove any dead skin around your nail plate. A rich moisturizer will leave your feet feeling soft. Complete with your chosen polish. Replenish your hands with a luxurious manicure. this treatment is designed to restore elasticity, plump and sooth dry skin. You will receive cuticle work to exfoliate and remove any dead skin around your nail plate. A luxury masque is applied to deeply nourish your hands. essential oils are locked in with a rich moisturizer used in a hand and arm massage. complete with your chosen polish. A great pick me up for maintenance between manicures. You will receive cuticle work to exfoliate and remove any dead skin around your nail plate. A rich moisturizer will leave your hands feeling soft. Complete with your chosen polish. You will receive cuticle work to exfoliate and remove the dead skin around your nail plate. Complete with your chosen polish. Featuring shellac luxe polish to extend the life of your polished nails. Unwind with the aroma proven to reduce feelings of stress with organic lavender, Ylang Ylang, bergamont and clary sage. While this aroma will be used throughout your entire treatment it will start with an exfoliation and followed with a Swedish massage. A soothing compliment to your weight loss regimen. This bright blend of organic grapefruit and organic fennel work on Cellulite with 6 other essential oils work together to stimulate the skin and draw out toxins. Swedish massage techniques are also incorporated into this detoxifying and purifying treatment. This Red Carpet ready facial is a game changer. The intensive glycol peel is designed to rapidly and safely resurface the skin, reduce fine lines and wrinkles, smoothing and encouraging cellular renewal. Breathtaking results with no down time. It is no wonder why the celebrities are doing it. If your skin has visible pores and is prone to blemishes the clear skin facial is for you. Extra cleansing and extractions will help bring your skin back to its natural balance and help control shine and prevent breakouts. The skin will be treated with the correct products that are gentle and soothing to your skin and relieve symptoms of irritation. Whether your concern is anti-aging or environmental damage this facial will quench your skin with hydration and restore your youthful healthy glow. tone, clear acne, improve the appearance of aging and make dull complexions glow. *consultation is required with one of our professional skin care specialists. This is a great starter facial to help you discover your skin care needs and focus on providing an overall re-balance to the skin. This invigorating facial utilizes natural products specifically chosen to deliver fresh, clean skin without irritation or shine, perfect for the man in your life. Enjoy a potent face, neck and hand massage that incorporates lymphatic drainage techniques to leave your skin feeling taut, firm and toned. This relaxing facial is ideal for keeping a man’s skin in optimal condition. 20 min shoulder and neck massage, scalp massage, calm skin face cleanse, and warm shave with hot towels. Hot towel facial cleanse with warm shave and hand massage treatment. 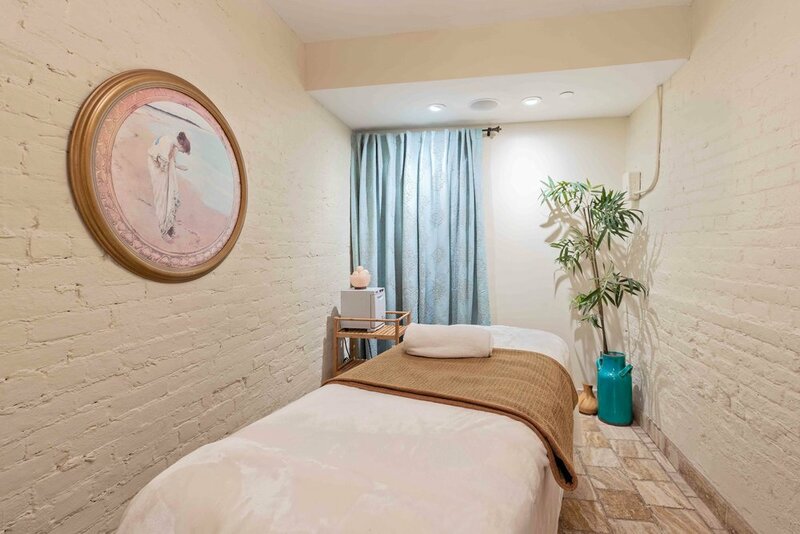 Begin your journey with a Swedish massage and seasonal body wrap, then whisk away your stress with a luxury facial. Enjoy a light lunch break and finish your day with a manicure and pedicure. Enjoy a 50 min Swedish massage, your choice of dry, normal, oily or sensitive 50 min facial and Soak pedicure. Treat your skin to an express facial and then pamper your hands to a Soak Manicure. Start with a 50 min salt or stone massage, 50 min manicure and pedicure, access to the spa and lunch. Enjoy a glass of bubbles on arrival, lunch in the Spa and an Elemental manicure and pedicure. To ensure your preferred appointment time, it is recommended you schedule your spa experience with us as far in advance as possible. Appointments can be made by phone, online or in person. To reserve your time with us a credit card is requested to guarantee your reservation. All Spa experiences are subject to availability. Menu services and prices are subject to change without notice. To have the best possible spa experience, we ask that you arrive at least 15 minutes prior to your scheduled appointment time. Spa robes, slippers, and private lockers are provided for your convenience. 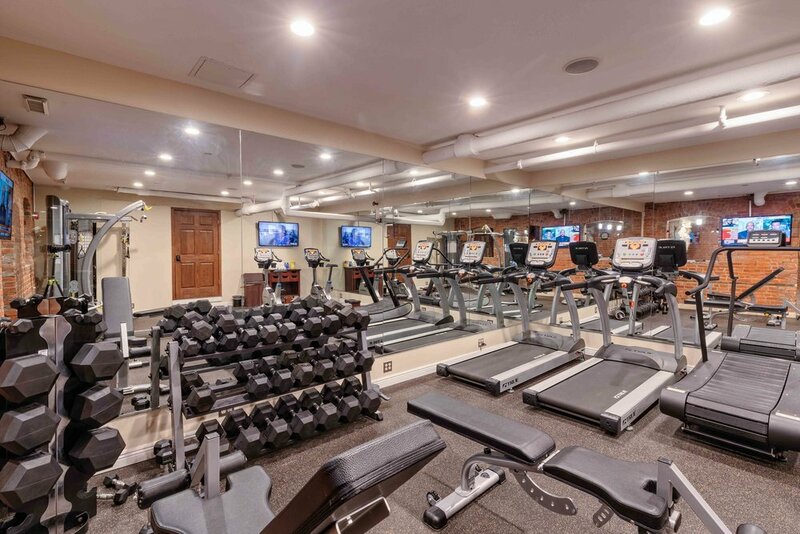 As a spa guest you will also have access to our Fitness Center, Sauna and Jacuzzi. When using the Spa Amenities be sure to plan around your reserved Spa appointment times. We recommend that you leave valuable items at home, The Detroit Club is not responsible for lost or stolen items. As a courtesy, you will receive a reservation confirmation 48 hours before your scheduled appointment time. 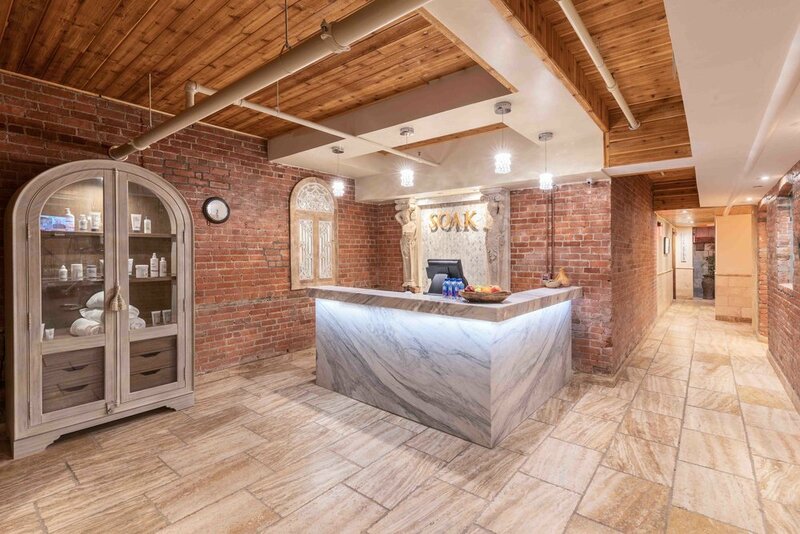 Should you need to cancel or reschedule your individual service a 24-hour advance notice is required; spa package and group package cancellations require 48-hour advance notice. Cancelations made with less than the required notice will be charged 50% of the service total. Failure to attend a scheduled appointment will result in 100% of the service total being charged. Payments are accepted in the form of cash, credit or gift card. Gift cards are non-refundable and may not be redeemed for cash. The Detroit Club is not responsible for any lost, stolen, damaged or unauthorized use of the gift card. Member discounts may be applied to all spa treatments. Gratuities are not included in the value of the services and are at the discretion of the guest. We suggest a minimum of 19% gratuity.